RIZAL VAN GEYZEL, known for his comedic presence that lands somewhere between the profound and the absurd, has become one of Malaysia’s sought-after entertainers both locally and regionally. 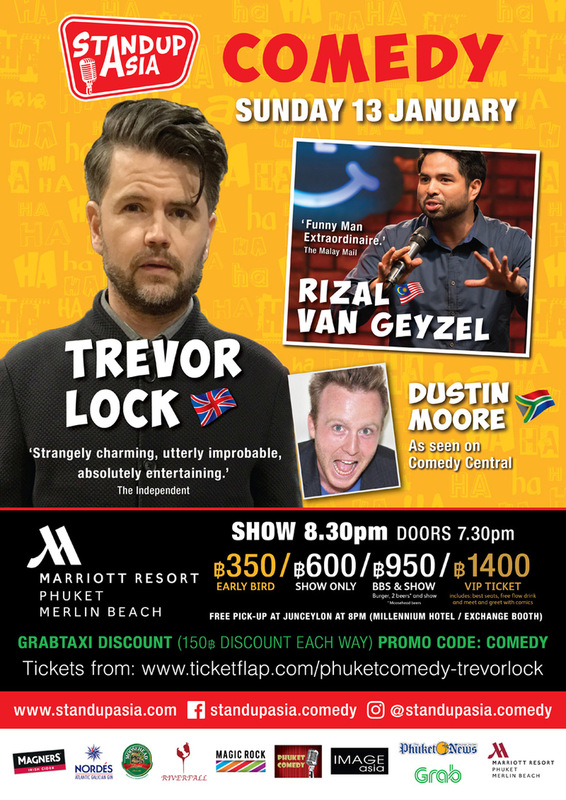 Consistently being featured in Malaysian media as one of the most interesting talents year-after-year, VAN GEYZEL helped open Malaysia’s first dedicated stand-up comedy club, The Crackhouse Comedy Club KL, which was featured by Dara O’Briain and Ed Byrne in their show, Road to Mandalay. Previously appearing in shows with Malaysia’s Harith Iskander, Singapore’s Queen of Comedy, Kumar, and UK’s Gina Yashere, VAN GEYZEL made his debut at the prestigious Melbourne International Comedy Festival in 2017, where he was handpicked to host 22 shows with Douglas Lim and received an astounding 4-star review by the Herald Sun. 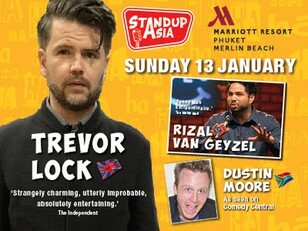 DUSTIN MOORE is an emerging star in the comedy world, who has already hosted and headlined shows in over 7 countries. Described as a ‘hilarious comedian and a powerful force of positivity’ (Bangkok Comedy Fringe), MOORE quit the corporate world in exchange for comedy. Since then, he has starred alongside world-class comedians, including Tom Rhodes, Phil Kay, and Joe Rooney. Tom Rhodes commented on his ‘unique high-energy’ and ‘free-flowing style of comedy that fills the room with positivity and laughter,’ while Phil Kay believes MOORE ‘has a happiness and energy that is so unique.’ The future is very bright for this talented South African. Come see his contagious energy, effortless charm, and razor-sharp wit on the Marriott stage.